With the end of January just around the corner, we are well and truly into 2019 and the cold winter months. Temperatures are set to stay around freezing in the coming weeks and months, but this wont stop UK drivers braving all weather conditions to get where they need to go! 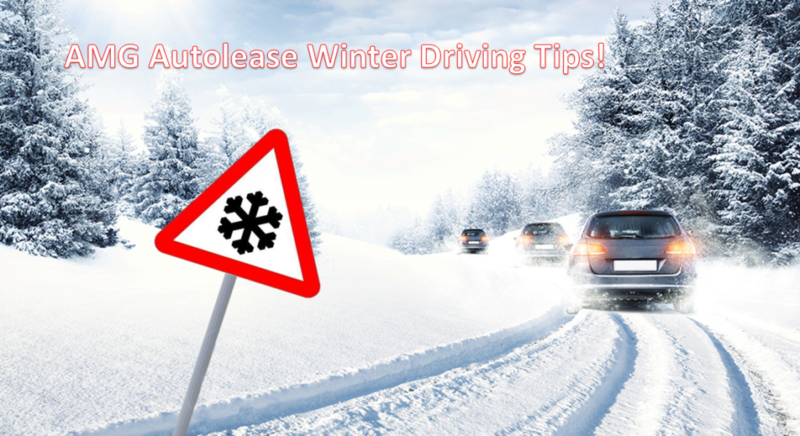 So with that in mind, we have compiled a list of our best tips, tricks and advice to keep you safe on the road this winter, as well as some of our top vehicles that keep you on the road in snowy conditions, that you can lease today! Before you set off in winter conditions, its always best to consult the experts on what you need to take with you, be it as simple as a snow shovel, or as serious as snow chains, its always a good idea to check the weather forecast before heading out at this time of year. Set off in second gear, this will help to avoid wheel spin in icy conditions, just make sure to ease off the clutch really slow. Drive slow and steady, stopping distances are much longer than on dry roads, so if you have to use your brakes, apply them gently. Check your settings, a lot of vehicles have winter driving modes, if yours does, be sure to engage it! The Xc90 has a winter mode. Make sure you properly de-ice your vehicle before setting off. Allocate extra journey time for winter driving. Try and stick to main roads where possible, as these are more likely to have been gritted. We all know Land Rover as the makers of ‘do it all’ vehicles. Theres no exception here, the available four wheel drive is of course a great plus in winter conditions, this combined with the large tires that grip the road and high driving position make this SUV a wise option for navigating icy roads. Thanks to its individual driving modes the Discovery Sport know exactly how much power to send to each tyre, meaning the car stays stable even in the most dicey of conditions. Not to mention, if you were to get stuck and have to wait out the cold whether in the vehicle, what vehicle could be better? A large and comfortable interior should make the wait easily manageable. The swift is a great affordable lease option for winter conscious drivers. The main attraction is its ALLGRIP system. The four-wheel drive allows the Swift to stay firmly on the road, even in the worst of driving conditions. The ALLGRIP system is only available on the top level trim of the swift. You can find out about the different specs available on the Suzuki website. Whilst this puts the price up slightly, there are still many plus points to a Suzuki Swift lease this winter. For example, low emissions of 101 g/km. This is thanks to the economical 1.2 litre petrol engine, supplying 89 bhp to the vehicle. Volvo have become renowned for their safety features, making almost any Volvo a good weapon of choice for taking on arctic ice. We’ve gone for the XC90 not only because of its 5 star safety features but also because of its AWD capability. The ‘winter mode’ we mentioned earlier is a particularly useful feature on this model, as it means the car sets off in third gear. This minimizes the chance on traction being lost on snow covered ground surfaces. There is also the ‘safe positioning’ system, which when enabled can tighten the front seat belts to increase passenger safety should there be a collision. Like the Volvo, the 3 Series also has an excellent full five star safety rating. Also we highly recommend you lease a model with BMW xDrive features. This is their all wheel drive system, which enables the vehicle to maximize grip by analyzing the engine and brakes. There are of course many more vehicles that come extremely well with the UK winter conditions these are just our personal favorites. Winter tyres are great as they are made from an alternative rubber which maximizes grip, if not all weather tyres are also a good option. Snow chains, these should only be used in extremely snowy conditions, otherwise you risk damaging the road and your lease vehicle. A lot of drivers often consider altering tyre pressure in order to get a better grip on the road. This is something we do not recommend you do. Car manufacturers design vehicles which a specific tyre pressure in mind, changing this on your own can be unsafe. We highly recommend drivers check the weather at this time of year before setting off on any road journeys. For more advice visit the AA website or take a look at RAC’s advice.